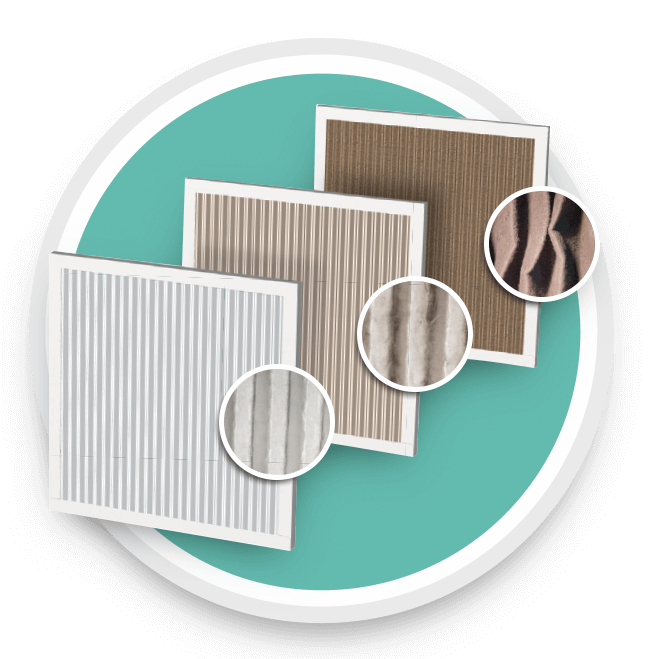 Easy-replacement Rheem® Standard Pleated filters are made of a wire-backed pleated media. 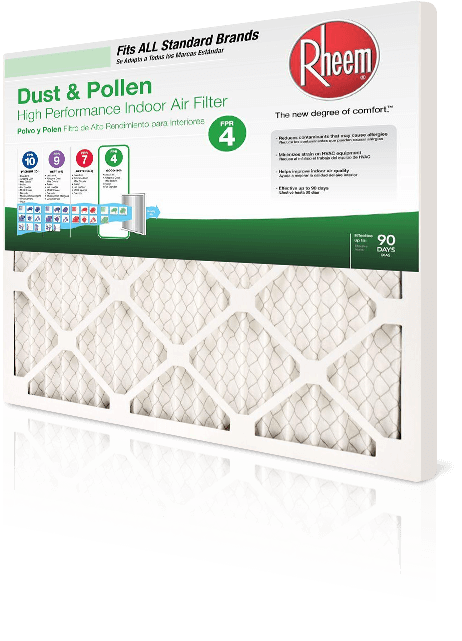 This advanced filter provides up to 90 days of protection against many airborne particles that can aggravate seasonal allergies and cause unhealthy environments—like pollen, pet dander, nuisance dust and dust mite debris. 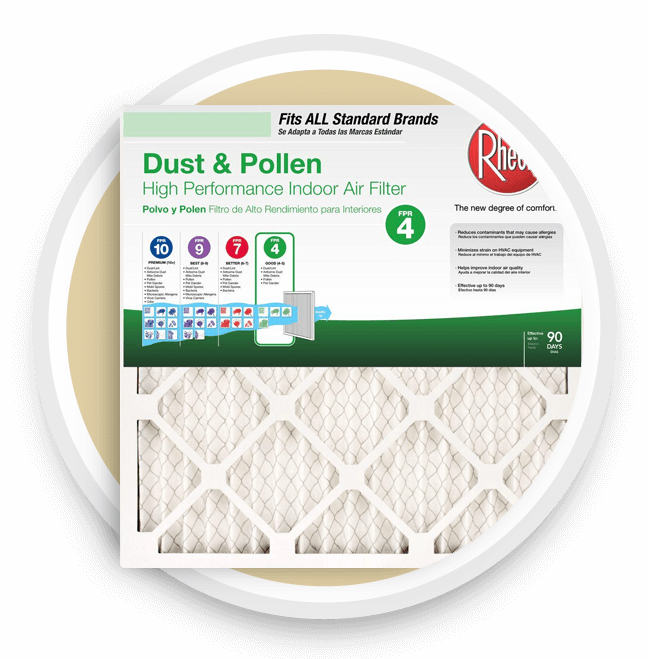 These filters are made for Rheem by Flanders, the leader in the air filtration, which provides air filtration products for the pharmaceutical, aerospace, nuclear containment and commercial industries. 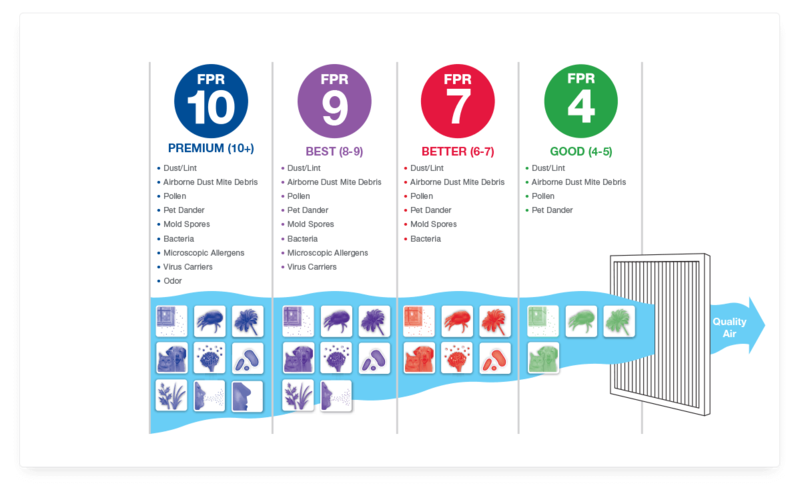 third-party lab, measured all brands of air filters we sell. It is recommended that most indoor air filters be changed every 90 days to ensure the best possible air quality for your home and family. High traffic areas, homes with pets or smokers or other situations may require more frequent changes. Remove plastic wrap and discard. Do not cut or damage cardboard frame. Remove existing filter and discard. Insert new Rheem filter into designated opening with arrows on the cardboard pointing toward the unit’s fan. Rheem Air Filters come in a wide variety of sizes that fit all standard brands. 10" x 20" 16" x 24"
12" x 12" 16" x 25"
12" x 24" 18" x 24"
14" x 14" 18" x 25"
14" x 24" 20" x 24"
14" x 25" 20" x 25"
14" x 30" 20" x 30"
15" x 20" 22" x 22"
Get advanced protection against indoor air contaminants with high performance Rheem Air Filters.